Sure, the Chianti region is famous for its wine, but the landscape here is unbeatable in terms of scenery. Take it all in on a this 13 km tour through the heart of Chianti on runnable trails and quiet roads. Note this is a somewhat hilly run — 700 feet over 13 km. Start out at “La Botte” sports center, about 1 km north of Calzaiolo (there is plenty of parking, and it’s a great spot to relax after the run). 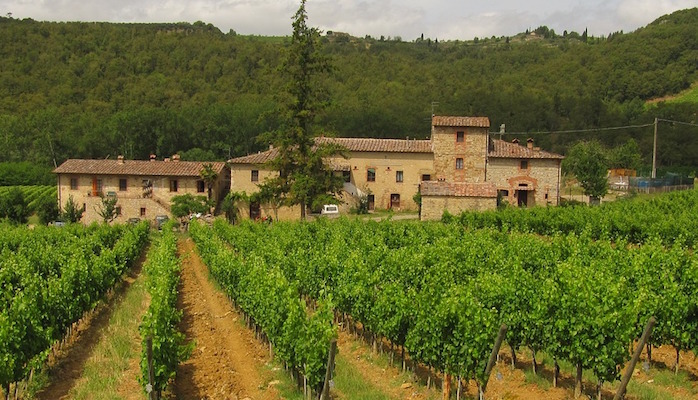 Admire the landscape around the Pesa river and then climb on the bended dirt streets up on the hills where one of the best Chianti wines is produced. The first 5 km is mainly flat, along the Della Pesa Bike Trail. Notice the wonderful contemporary architecture of the Antinori family’s Bargino winery. Where the trail crosses SR2, leave it for the Via Cassia per Siena, which is the route’s major climb. When you reach the top of the hill, you’ll be met with a breathtaking view of the typical Tuscan landscape, complete with vineyards, olive trees, woods, villas, and country churches. LEFT on Via Collina at km 6.5, which you will follow, through a working vineyard to SR2, rejoining the bike path for the final kilometer (at km 8.6, the route heads downhill). To shorten the route, start out in Calzaiolo, which saves ~2 km .